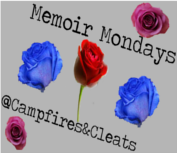 to Chris at Campfire and Cleats' Memoir Mondays. Thanks again for hosting, RAnn and Chris! My favorite photo from Santiago, taken on my iPhone. I woke to the sound of old ladies singing. 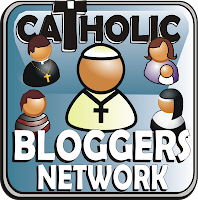 It was a familiar sound, like my grandmother and her lady friends from her Block Rosary Crusade were on procession outside. But I wasn’t at Mama’s house in the suburbs of Metro Manila. 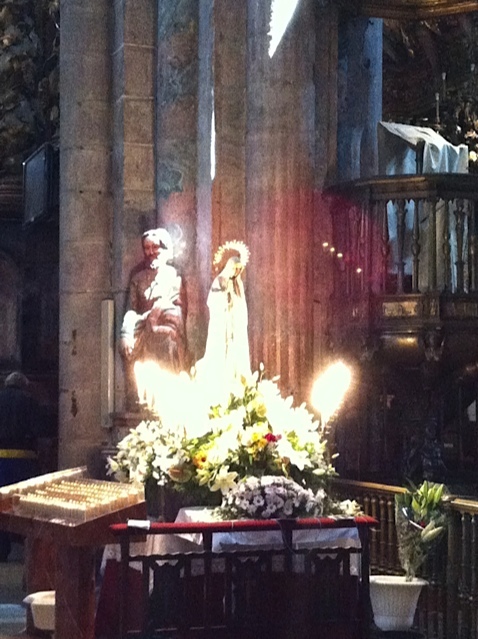 It was the feast day of Our Lady of Fatima, and I was in a hotel room, on my last morning in Santiago de Compostela. After spending the last week with a group walking the last hundred kilometers of the French Way of the Camino, I was flying home to Zürich in a few hours. A glance at my phone told me it was 5:06. Too early to be awake. I rolled over to go back to sleep. Perhaps I was dreaming. I saw a pure, bright, dazzling light, in the shape of a woman with a veil with her palms outstretched. I could not make out any features, just her silhouette. I jumped awake. 5:13 am. I could still hear the singing. Brushed teeth, showered, dressed, out the door and on cobblestones of the Fuente de San Antonio by 5:20. I was going to catch up with that procession of grannies. Old ladies tend to walk slowly. They couldn’t be that far ahead of me. Following the singing, I ran through the cold streets of Santiago - up Rua Das Orfas, past the Igrexia de Sta Maria Salome, up Rua Nova – towards the cathedral. I would have put money on the procession ending at the cathedral. Two days ago, I had knelt in front of the cathedral and placed my hand on the scallop shell in the middle of the Plaza del Obraidoro. We had arrived. The square was full of people, university students, mothers and sometimes fathers with babies in their carriages, nuns, school children, monks, souvenir hawkers, police, musicians, and pilgrims at various stages of acquaintance with the town. The newest arrivals would still have their backpacks and walking sticks. Their heads swiveled to and fro, wanting to take in everything about this moment of arriving, and having a hard time deciding what to look at first. They were sweaty, sun-burnt, tired, and very happy. Those who had been there longer – even by just a few hours - looked calmer and lighter. They had shed off their heavy backpacks and hiking boots in their hotel rooms. They smelled of soap and shampoo and wore sandals to air their blisters. They simply sat, some in the middle of the square, others under the arches of the Palacio de Raxoi across the cathedral. They gazed upon the cathedral, the people, the square, but the scenes that played before their inner eyes were of those of the infinitely varied ways in which God’s hand had led them there. Running past the walled convents, the monastery gates, the closed cafes, and boarded up souvenir shops, I had imagined that I’d arrive at the square and find the singing grannies wrapped snuggly against the cold. They would be accompanied by their younger folk, perhaps their children, long grown-up with their own children in tow, bearing candles, flowers, and banners. Six monks would be maneuvering the float carrying Our Lady. The padre would open the cathedral doors and they would enter singing. There would be an enterprising soul setting up his stall for selling churros and hot chocolate. People were always hungry after Mass and he would make a tidy profit. Or so I had imagined. I was surprised to arrive at the Plaza del Obradoiro and find it silent and empty. Where did they go? I circled the cathedral three times, peering down streets I now know (writing this with a map of the city beside me) as the Rua Do Vilar, the Rua Xelmirez, the Rua Da Raina, and the Rua Fonseca. It was 6:10 and still dark. That enterprising soul with his churros and hot chocolate was still asleep in his warm bed. The cathedral was not due to open for another hour. I did not feel like going back to my hotel. When I finally convinced myself that there were no processions of singing grannies hiding around the corners, I made my way to the arches of the Palacio de Raxoi. From there, leaning my back on one of its columns, I had the view of the famed western façade of the cathedral all to myself. I sat on the cold pavement, waiting for sunrise or for the cathedral doors to open. I didn’t mind which came first. I thanked God for leading me to Santiago, for Ross, my mom, and the kids back in Zürich, for my dad, my stepmother, and brothers and sister in Manila, and for Paolo Coelho and Joseph Campbell and how the power of their words started me off on this journey. I thanked God for the mysterious silver rosary in my hand. I thanked Him for the wonderful people I had walked with – Annie and Sylvia, Jody and Caitriona, Liz and Tony, Mario and Estrella, Catherine, Patricia, John, Pat, Vince, and Elaine. I thanked Him for the bouts of illness He sent to make me question the direction I was going, and for the voice in my heart that had been exhorting me to quit my job for the last two years. I thanked Him for sending me Uncle V, who taught me that the heart is our connection to God, and that when hearts talk, we should listen. I thanked Him for the dream He sent one night, where I had a pleasant chat with Jesus, the Blessed Mother, and my guardian angel about prayer and walking uncharted paths. That dream gave me a boost of courage to quit my job the next day. In the days following, the adrenaline faded and the doubts started their insidious creep back in. I thanked Him for sending the dream where an angel with a flaming sword raised a wall of fire behind me to keep me from turning back. Amen. Amen. Amen. Wave upon wave of gratitude washed over me as I sat under the arches of the Palacio de Raxoi. The cathedral doors opened at 7:15, and I attended Mass in one of the many small chapels on the side of the main aisle. Afterwards, I prayed a Rosary before Our Lady of Fatima, who was beautifully adorned in white lilies for her feast day. I went behind the altar to kneel by St James’ tomb, and climbed the steps to embrace his statue above the main altar. I didn't really know much about St James before this pilgrimage, but now I felt we were friends. “Please help me to come back again someday, St James,” I prayed. Outside, the Plaza de Obraidoro was filling with people. I never did see the man with the churros and hot chocolate stall. Come to think of it, it is only in Disneyland where I’ve seen churros sold from portable stalls. Spaniards are dead serious about their churros and hot chocolate. You only have them sitting in a café. I did a quick walk around the cathedral to buy presents to bring home. Rosaries and statues of St James for my mom and my brother James. Cheesy “I love Santiago” T-shirts for the kids. I had been deliberating many hours what to get for Ross. Finally, I chose him a Celtic-style braided leather bracelet with three silver knots from Malleoc, the shop where my rosary came from. “One knot for each of the kids,” said Maeve when I fastened it on Ross’ wrist. “What part are you, Mom?,” asked Olive. “I’m the sharp hook that digs into his flesh,” I said, winking at him. In a typical (for me) case of not-buying-remorse, I regretted not buying myself an Azabeche bracelet with a little scallop shell charm. At the time, I thought to myself that I did not need a momento from the trip. What did I need a trinket for when the experience was already seared indelibly into my soul? I still had the padre’s homily in my head. I had attended a special pilgrims’ service one evening. We gathered in a circle around a fire in a courtyard. The padre welcomed us to Santiago and congratulated us on arriving. He gave us black cards. These signified our old lives, he said. He asked us to meditate a few moments on the old skins we had shed on our journey, and then asked us to throw the black cards into the flames. Pilgrims always start their journeys heavy with so much stuff they think they need. My cheeks flushed a guilty pink as I remembered John and Pat insisting on carrying my 25kg suitcase up four flights of stairs for me. (I woke extra early the next day so that I could carry it down the stairs myself before they came for breakfast.) However, a pilgrimage is like a refining fire. As pilgrims go through their journey, they come to realize that they don’t need so much after all. We are born anew. Hmm, that is at least what I think he said. He was speaking in Spanish. If I listened just to his words, I would have been lost. But I found that if I tried reading his eyes, somehow I understood. I glanced at my arm. It looked just like my old skin, slightly more tanned. My pilgrimage only lasted a week. That was as long as Ross and my mom would let me be away from home. When the kids are grown, I will start from St. Jean Pied de Port. That would take about a month. I should certainly be more noticeably refined after a month. As it is, I don’t know how much refining could’ve happened in a week. But then, as Paolo Coelho said in The Devil and Miss Prym, “A week is enough time for us to decide whether or not to accept our destiny”. It is anyway enough time to decide to change course and start on a new path. As for my Azabeche bracelet, I still pine for it somewhat. The occasional desire for shiny pretty things unfortunately did not get burned away in that fire. I sketched it in my journal. With a little help from St James, I’ll pick it up when I come back to Santiago next time, as I surely will. PS: I did this pilgrimage to Santiago from May 5-13 in 2012. A few weeks later, I found myself in Los Angeles on my last work-related trip. (I had arranged to leave my job at the university end of June 2012.) After months of email correspondence, I finally met Uncle V in person. I spent a day with him and his family. At some point, he had an errand to take care of at the Convent of the Sister Disciples of the Divine Master, where his congregation held their First Saturday devotion. I waited for him in the gift shop. There were various statues of the Blessed Virgin for sale. A particular one caught my eye. A veiled Virgin Mary with rays of light shining from her outstretched palms. “Uncle V, I’ve seen her before,” I said excitedly when he came back. I told him how she woke me up and how I chased a phantom procession of grannies through the streets of Santiago de Compostela. “That is Our Lady of Grace and the Miraculous Medal,” says Uncle V.
Two weeks ago, on May 6, John sent an email reminding us that it had been a year ago that our group had started out from Sarria towards Santiago. And I remembered that Annie and Sylvia's prayer cloths, which they had quilted from pieces of fabric contributed by members of their parish and symbolized bringing their petitions to Santiago, also had a picture of Our Lady of Grace. 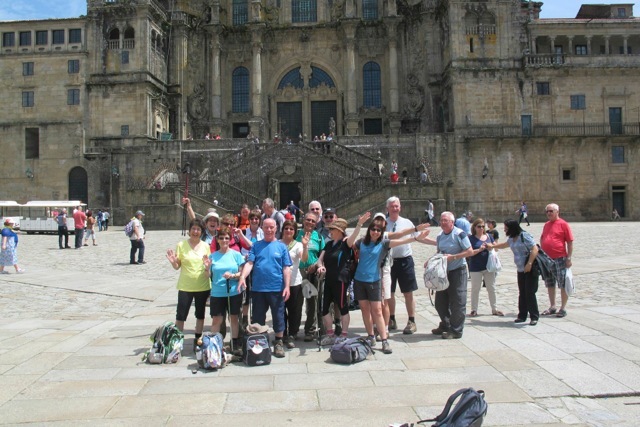 I joined a guided walk organized by Follow the Camino. Our guide, Elaine Jones, was superb. She was savvy, knowledgeable, and very organized. She briefed us on all aspects of the Camino throughout our trip, from how to deal with blisters, to which cafes to stop at at which towns, what regional specialties to try (octopus in Melide), to the history of the Camino and the cathedral, to navigating the Pilgrims Office in Santiago to get our Compostela Certificates. Elaine also leads walking groups on the Via Francigena to Rome. I love the imagery of "field of stars"
Absolutely wonderful. Especially the people I walked with. It was a privilege to get to know them. We still keep in touch. Oh my, Ultreya, this is a marvelous post...I feel as if I journeyed with you! What description. I don't know what I loved best about it! Thank you for sharing this today at Memoir Monday! it is an honor that you linked. I also wanted to tell you how moving I found your comment on my post today....I only wish my Dad could read it. He'd be teary-eyed if he could. Well, he knows; I just can't see him appreciating it, you know? It is amazing for me to be friends with you in our modern world 7 decades after my Dad was in the beautiful Philippines. he truly did hold a special place for the country and its people. I have never written anything abt his war experiences...I'm the youngest and the only one he really talked details with. Not details of brutality, of course......the nuances of daily life, training, the gorgeous countryside, the people, etc..... so many stories and I can only recall and write a little at a time b.c it's so draining and emotional still. Thank you, thank you, thank you, for the most meaningful and emotional comment ever left on my blog. It is so touching. You have a very vivid way of writing, Ultreya - full of colourful detail and suspense. How did Ross like the bracelet? And your remark? I got goose bumps reading your blog. You personally witnessed all these miracles in your life, and you are sooo young compared to my age. I guess if we truly listen, He is there all the time talking to us. I would love to do a pilgrimage walking trip like you did if only my achy hip, and knees would allow me. 4 years ago it was severe heel pain. But with God's plan, if He wants me to, I will be able to do it. I also have another friend who has done this and she still is awed my her experience everytime we speak. I give you credit for your deep faith, and I hope mine will deepen as well.